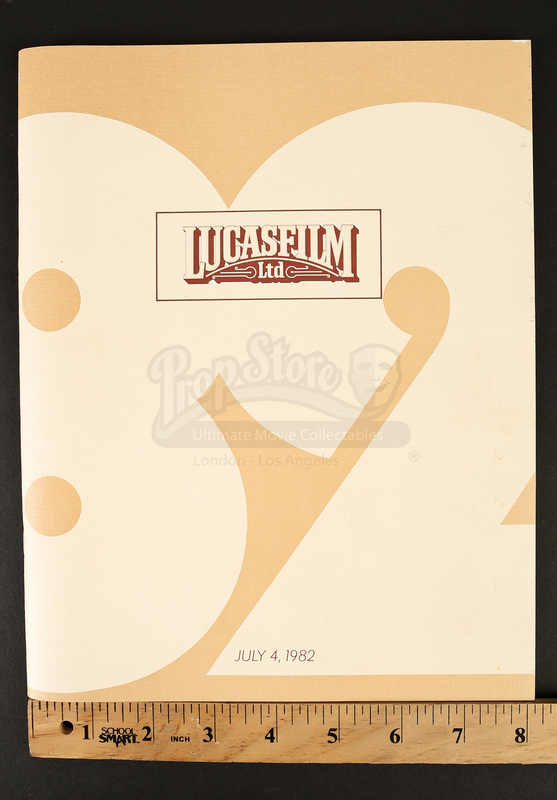 A 1982 Company Yearbook distributed to the staff of Lucasfilm, Ltd. A company tradition, the Lucasfilm yearbook is compiled mainly by members of the staff to commemorate a year at the company. 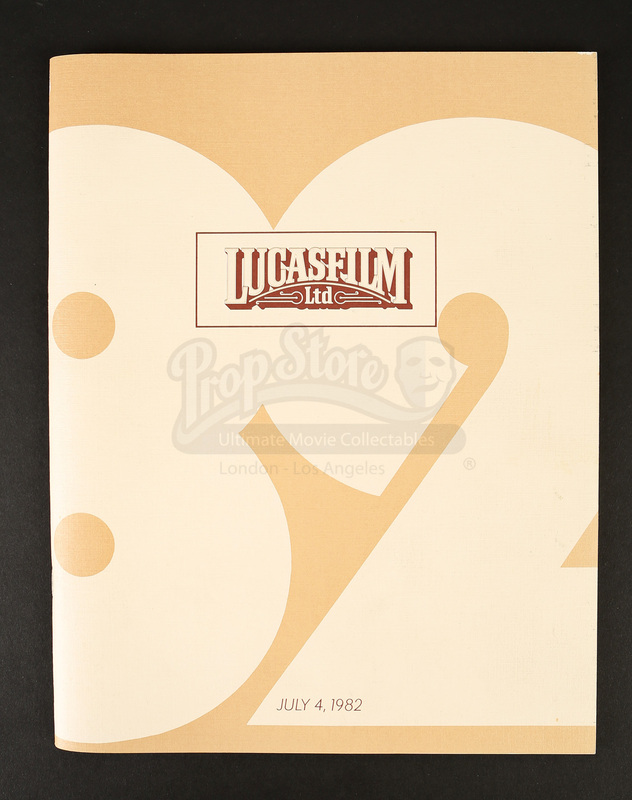 This edition is dates July 4, 1982 and was given out during the company’s annual Fourth of July picnic. 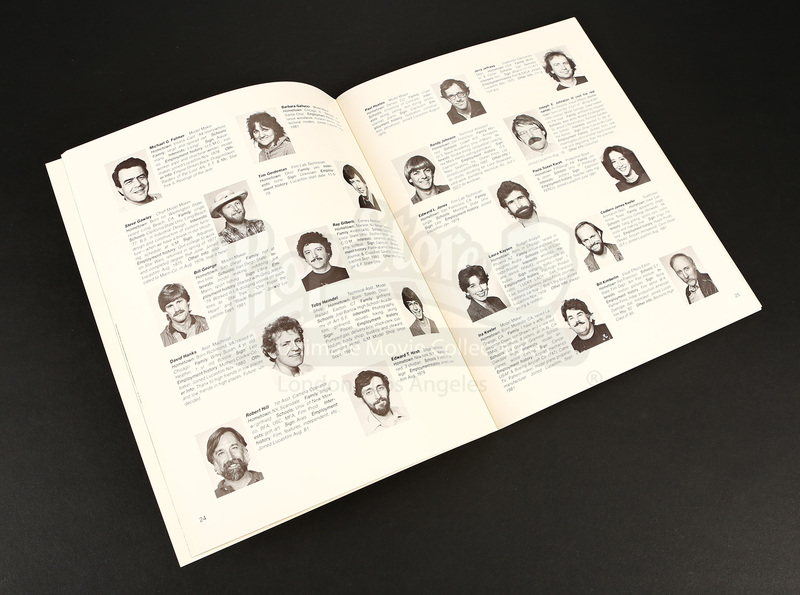 The years book features segments on many Lucasfilm employees from the time, small cartoons drawn by the staff, and photo highlights from the company picnic, Christmas party, and Academy Awards. 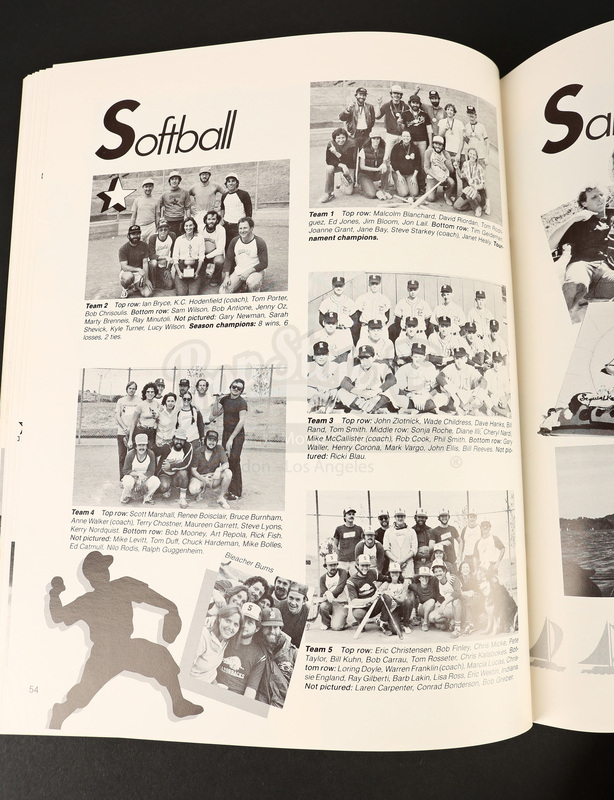 The book is 72 pages with a cardstock paper cover. This piece remains in great condition.